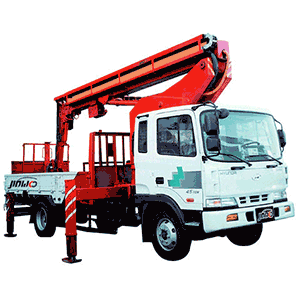 The Vehicle Mounted Boom Lift is ideal roadside access and long distance travel between sites. This is a very versatile mobile elevated work platform (MEWP). It is used to gain access to elevated locations outside the base or the transport vehicle, to areas that are high and often inaccessible from a ladder. The basket provides a safe platform to work from.